Ask any tourist about Poland and you might get a mumble answer that this is of beautiful country, drink vodka, communist rule, Pope John Paul II and Euro 2012. But Poland has a unique history, charming cities, tasty food, kind people and beautiful girls. Warsaw is the heart of Poland. Only in Warsaw you can see 2 different worlds. First one with its old history and the second one with the higher skyscrapers. 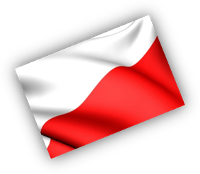 Polish is the official language in Poland. 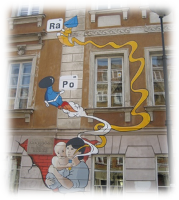 Polish belongs to the Slavic group of languages. They use the Latin alphabet. Here you will find some basic words to understand how it sounds. And then you can tell is polish difficult or not. Marie Skladowska Curie was the first and only Nobel laureate in two different sciences and first female professor at the Sorbonne University. Pope John Paul II. He was the only Polish Pope. Additionally he is credited with contributing to hastening the end of communism in Poland and throughout Central and Eastern Europe. 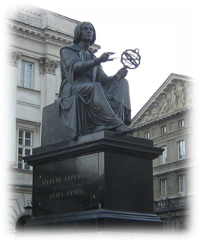 Astronomer Nicolaus Copernicus was the first person to propose that the earth was not the center of the universe. Another Polish astronomer, Johannes Hevelius published the earliest exact maps of the moon. 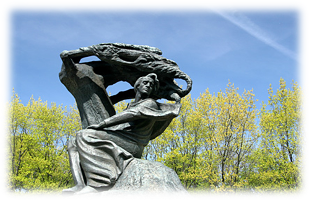 Religion plays an important role in the Polish society and is deeply intertwined with Polish culture. Religious holidays are considered national holidays when most businesses are closed. All the shops, restaurants and another public places are also closed. So make sure that you have food in your fridge, if no it will be a problem to find something to eat. Also there are a lot of other holidays in Poland. Of course, if you want to make woman happy, just send her a small present or flowers. Generally, the usual times for present giving are birthdays, name days (birth date of the saint after whom they are named), Christmas, St. Valentine’s Day and Women’s Day. Remember - Do not give gifts that are overly expensive, this may embarrass the recipient. And don’t forget to present something without the reason. Sometimes when it unexpectedly, it’s better and more satisfied Everyone likes to eat. The mainstays of the Polish diet are meat, bread, and potatoes. For many Polish people, dinner is not dinner without meat, bread. Traditionally, the main meal of 3 courses is eaten around 2 pm, starting with a soup, a main course of meat and a desert. The "Paczki" or Polish doughnut is one of the most traditional Polish desserts appearing since the time of King Augustus III of Poland. For drink in the bar you can order beer. Beer is often served with raspberry or blackcurrant juice and drunk using a straw. During colder seasons the popular refreshment is hot beer with cloves and cinnamon, sweetened with honey or hot wine. You can find a lot of taste food here. There is no sense to tell about it, you need to come and taste it.